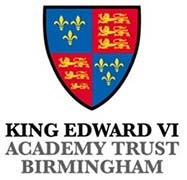 Please note: King Edward VI Sheldon Heath Academy is not responsible for the content of external websites. To access your email using a web browser, use this link. Username and password are the same as what you use within the Academy. Do not put the @keshacademy.com portion in the username. Log in with your Academy email address and password. This allows you to access your Academy documents from outside the Academy. Enter kedc\ before your username. For example, kedc\jsmith. Click on this link to install the Smoothwall certificate on your device, so as to be able to browse the Internet within the Academy without getting a certicate error each time. There is handy guide on the link for various devices. Fun and interactive e-learning website. Students - the username and password to access this website can be obtained from a member of staff. Parents can use the Wisepay system to pay for trips, top up their child's dinner money account, etc. Please speak to a member of the Mathematics department if you have forgotten your password. Applications for free school meals should be made using this link.